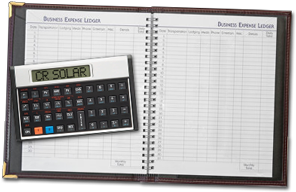 Use this calculator to see how CR Solar can help improve your bottom line by eliminating expensive and unpredictable energy costs. Please indicate your monthly consumption of grid electricity in kWh. This information is found on your monthly bill. Alternatively, choose one of the typical values in the drop-down menu. Please enter the average daily solar insolation value for your location in kWh per day (using the flat surface on ground method). Or, just select the location closest to you in the drop-down menu. The average rate you pay for your grid electricity today. 34.8 cents per kWHr is typical as of Summer 2014. Use the slider below to set this value to the rate you pay for grid electricity. Don't forget to include sales tax and other taxes as appropriate for your circumstance. Since records began, the annualized rate of increase of grid electricity in Costa Rica have risen 14% per year. You may enter your own prediction for how the rates will change in the future. Based on the inputs above, we have automatically selected the best solution for you, however, you may choose another size from the drop-down menu. Please note that you have configured a significantly oversized solution. This may make perfect sense if you have a large variation in your electricity consumption from day-to-day and want to minimize your grid-consumption. But, if this is not what you intended, your ROI calculations will not be as good as they could be. If your electricity consumption is closer to kWh each month, then use this amount in the box under "Electricity Consumption" above and this calculator will show you an even better return. This CR Solar -panel solution is priced at $. This includes $2,086 for the required equipment and a study of engineering forms. This solution is estimated to generate up to kWh, saving you up to $ this month. If you predict that grid tariffs will increase, then your savings would also increase over time. Based on the predicted tariffs and your energy usage, this solution could pay for itself in years and months. representing an equivalent % annualized compounding rate of return. CR Solar for the win! This CR Solar solution is already a smart move, but when you consider the increased equity in your property value and the feel-good factor of helping to preserve the environment, its an amazing win! Your future is so bright you gotta wear shades! Looks like you are extremely optimistic about future grid electricity prices. A solar solution may not make sense for you, unless you consider the additional benefits of improving your property’s value or helping to preserve the environment. Questions? Ready to start saving? We’re here to help.